I want to say a huge thank you to all of you who've given us amazing reviews. 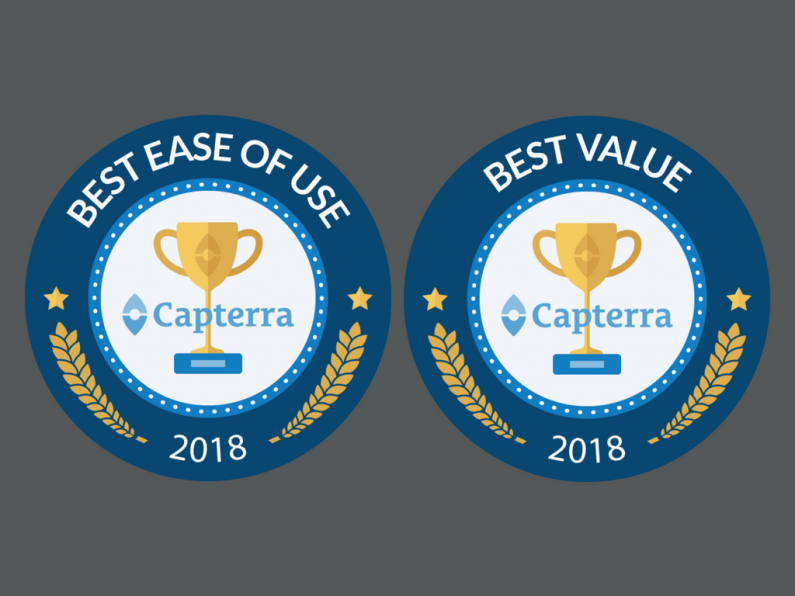 We've just received the two "Best of" badges available from Capterra in the Personal Training Software category (sadly they don't do a best overall badge!). Given there's a whole new 10X better version of PT Distinction on the way this is pretty incredible. Thank you all. This is the first year Capterra have introduced their “Best of” badges to the Personal Trainer Software category. Given our average review score (4.92/ 5) is the highest in category it's no surprise to receive these badges but it is a great honour. We're delighted and have you guys to thank for this great recognition. - An overall average review rating of 4.5/ 5 or above. - An average rating of 4.75/5 or above on “ease of use”. - An average rating of 4.75/5 or above on “value for money”. - At least 10 reviews in the last 12 month. Despite the great reviews we've spent the last 15 months working with the worlds leading sports app designers and the 3000+ trainers in our Facebook group to create a brand new 10X better version of PT Distinction. We will be giving access to all current members in the next few weeks. The first public look at the all new PT Distinction V3 will be at the Bodypower Expo on May 12th where I've been asked to show it off on stage in the Trade area of the show. You're very welcome to come along, have a chat and and see the future of online training.